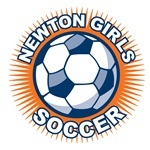 Newton Girls Soccer offers multiple ways for motivated girls to improve their soccer skills and become better players. The Skills Development Program was created expressly for this purpose. Girls in the SD Program get an extra hour of practice every week and player-focused training by the NGS Professional Coaching Staff. The SD Program is open to all players in K through Grade 8 and as sessions offering grade and age appropriate tactical training and skills development, as well as specialty clinics for players interested in improving specific aspects of their game. Skills: The Winter FUTSAL Curriculum used for the Skills Training Sessions is centered around player development and enjoyment of the game. We as a club aim to develop skilled, confident and creative soccer players in a FUN, positive learning environment teaching them all aspects of the game based on the four pillars of players development (Technical, Tactical, Physical & Psychological skills) Sessions are tailored to meet the needs of each individual player in the session and will cover topics such as Ball Mastery, passing & receiving, 1v1 attack & defense, speed, finishing and small sided games. FUTSAL incorporates a low bounce ball which further helps develop a players technique and skill. Players U13 and older use a size 4 ball. Players U12 and younger use a size 3 ball. We also advise players to purchase indoor soccer shoes that are designed to deliver traction and comfort for fast play on hardwood surfaces during the small-sided game. Futsal Balls and indoor soccer shoes can be purchased online at www.soccer.com or at most local sporting goods stores. We strongly encourage all interested players to sign-up ASAP as spaces are limited so register here today and don’t miss out! Sessions will run from the end of November to early March. See session dates below. Please Note: The schedule and locations are subject to minor changes depending on gym availability. An external vendor is handles the sale and distribution of the required Skills Development Shirts. Place your order through our online store. NGS Director of Coaching Shaun McBrien or a member of his staff of experienced, professional coaches will coach all sessions.